The American Bulldog has a very sturdy and muscular build, weighing anywhere from 60 to 120 pounds at a height of 20 to 28 inches. This breed has a large head with strong jaws with ears that may be cropped, semi-prick rose or drop. The coat is short and soft coming in any variation of colors. Though larger than the English Bulldog, the temperament of the American Bulldog is very similar. A gentle, affectionate dog that loves children and can be considered a big lap dog, the American Bulldog is alert, confident and loyal to its people. 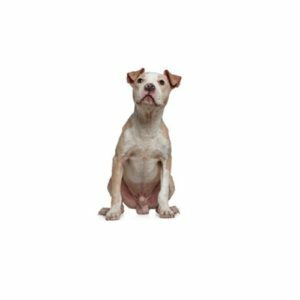 Brave and strong-willed, the American Bulldog will do best when trained from a young age on and with an owner that isn’t afraid to establish themselves as a strong pack leader. A breed with strong protective instincts, Bulldogs are known for their acts of heroism towards their owners and can sometimes be reserved with strangers. The breed requires plenty of regular exercise to prevent boredom and encourage it to be a well-trained dog during the day. The short, fine coat of the American Bulldog requires minimal grooming and care, however, similarly to the English Bulldog, the breed has been known to drool and slobber. With a history as an all-purpose working dog and fearless guard dog, the breed is a good indoor/outdoor dog but does require sufficient outdoor exercise and activity, especially if it lives in an apartment setting. Are you interested in purchasing a American Bulldog?